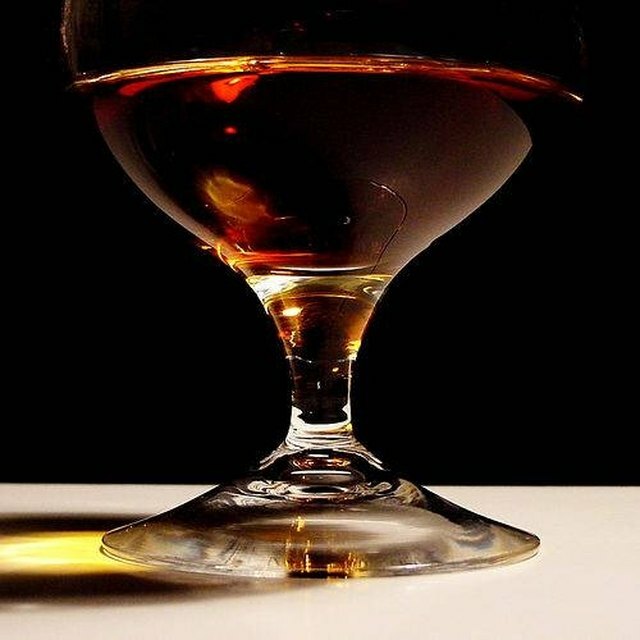 Cognac is a kind of brandy, and brandy is a liquor distilled from wine and then aged in wood. Cognacs are the finest of all brandies and are created in a very specific process. All true Cognacs come from specific areas within the Cognac region of France. Many different brands are available in a very wide price range. 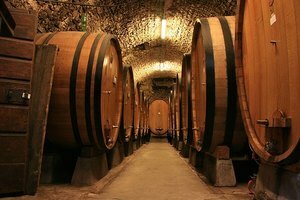 Cognacs are created from white wine, which is double-distilled and then aged in oak vats for a minimum of three years. The two distillations are called "chauffes." The first chauffe distills the wine into a liquid with a higher alcohol content per volume, and the second, called "la bonne chauffe," produces three levels of liquid, of which only one is kept to be aged into Cognac. The others are aged into fine brandy. Cognacs are made through very rigorous processes. Only certain types of grapes are allowed, and most is made from Ugni Blanc grapes. 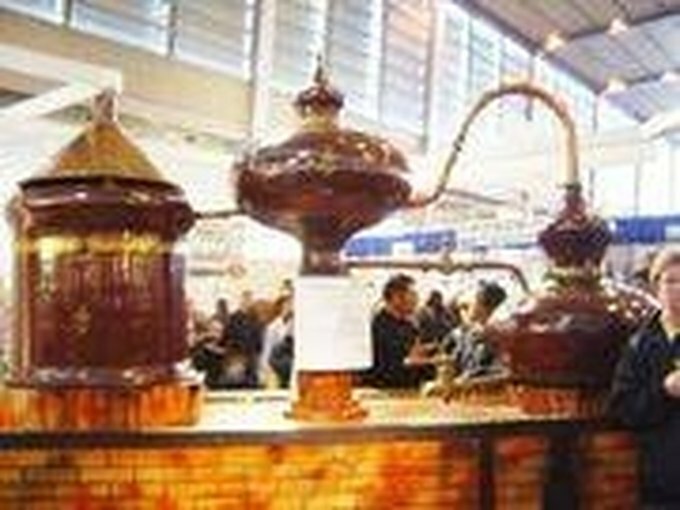 The double distillation takes place in traditional copper Charentais stills, and distillation must occur only between November 1 and March 31. 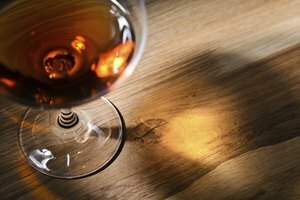 Cognac can only be aged in oak from the forests of Limousin or Troncais. The six types of cognac, in order of prestige, include Grande Champagne, Petite Champagne, Borderies, Fin Bois, Bon Bois, and Bois Ordinaires. The champagnes have the most powerful flavor, while the popular Borderies have distinct nutty flavors. The others are heavier and a bit oily, and certain manufacturers exclude them. The types of Cognac are based upon the specific region of the Cognac area in which they are produced, because of the characteristics brought to the grapes by specific types of soil. For instance, the Grand Champagne region has chalky, clay-type soil with a very high limestone content (the word "champagne" means "chalky soil"), and the cognac is aged very slowly, while the Bois Ordinaries region has very sandy soil and the Cognac produced there is aged quickly. For alcoholic drinks, France concentrated solely on wine production for many centuries, until the early 1600s when trade expanded and wine was found to be too delicate to remain at a consistent quality during rough ocean travel. Traders started distilling wine so it would travel better, and then double-distilling it for a finer, smoother flavor. The Dutch nicknamed the new alcohol "brandewijn," meaning "burnt wine." Before long, brandy became a significant income generator for the French. Because so many people assume all French brandy is Cognac, a popular saying among aficionados is, "All Cognac is brandy, but not all brandy is Cognac." Some popular brands of Cognac are Camus, Courvoisier, Hennessy, Martell, and Remy Martin. There are many independent small producers of cognac as well. People can buy a good bottle of Cognac for around $35, and more expensive options are available for those looking for higher quality. The Remy Martin Extra Perfection, for example, retails at around $400, and the Hennessy No. 1 can be purchased for about $800. Bigger spenders might like to try the very high-end Courvoisier Erte No. 2, which goes for about $3,500 a bottle.